This foodie discovered that food could soothe her anxiety and it quickly became her coping mechanism – her available drug of choice. Join Brenda Wood as she takes us through her personal journey struggling with bulimia, doubt and unbelief, into healing and wholeness in Christ. A motivational speaker and author, Brenda Wood is a true alphabet girl. She has experienced and written about abuse, bulimia, cancer, and the death of her spouse. Brenda’s faith and quirky sense of humour bring perspective to these heavy topics. Brenda, who prefers a warm fire and a good book to any outdoor activity, lives just north of Toronto, within hugging distance of all five of her wonderful grandchildren. 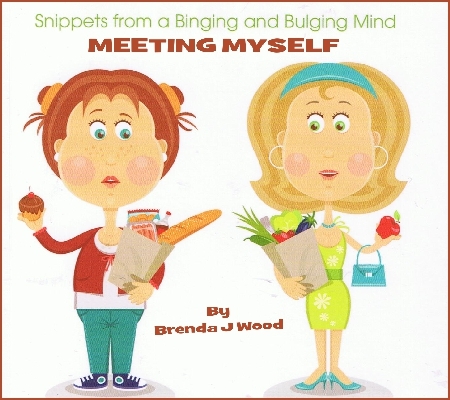 Brenda’s latest books include: The Pregnant Pause of Grief, The First Trimester of Widowhood; Gentle Humour with Jesus; God, Gluttony and You; and Meeting Myself, snippets from a binging and bulging mind.